At Tiga we believe in The Modern Man. 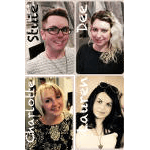 With vast experience in creative mens hair cutting and colouring you can feel relaxed as we get to work giving you the look you require. Reflexing shampoo. Removes yellow reflections from gray hair. 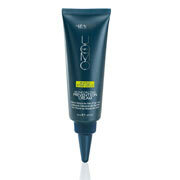 Energy and vitality for hair and scalp.Shampoo-gel. It cleanses both hair and scalp giving a twist of energy. Refreshing effect.Ideal for daily use. Energy and Vitality for Hair and ScalpConditioning Cream. It increases hair softness and reinforces hair fiber.It provides a soothing experience for the scalp with a fresh feel to the hair. 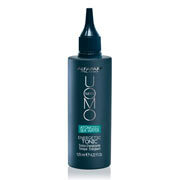 Energy and vitality for hair and scalp.Leave-in tonic. 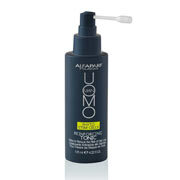 It provides both hair and scalp with tone. 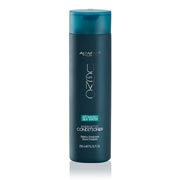 It amplifies hair texture and helps stimulating micro-circulation. Fresh effect. Daily use. Leave in night cream for adjuvant hair loss prevention. It provides a soothing-protective action to the scalp.The caffeine favors micro-circulation and follicles nourishment defending against the threat of oxidation.Refreshing effect. Reinforcing shampoo with adjuvant anti-fall action. It gently cleans the scalp favoring best conditions for natural hair growth while amplifying its thickness.Refreshing effect.It doesn’t contain Parabens. INTENSIVE ANTI-FALL ADJUVANT TREATMENT Thanks to its liposomes, carrying stem cells extract deep within the follicle, it enriches and strengthens the hair bulb cells, delaying the ageing process. It provides an antioxidant action that helps preserving follicles integrity.It stimulates micro-circulation by activating the cells of the bulb. Anti-Fall Maintenance Adjuvant Treatment Enriched with selected UV filters that protect the hair and the scalp against sun rays.It prevents oxidation. 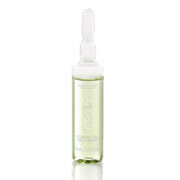 It reinforces and revitalizes the hair enhancing texture.It stimulates micro-circulation activating bulb cells.